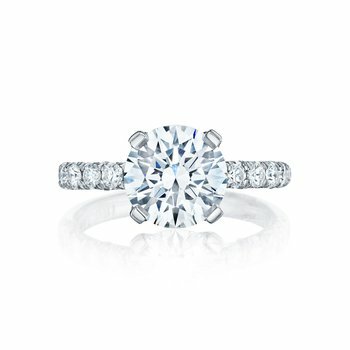 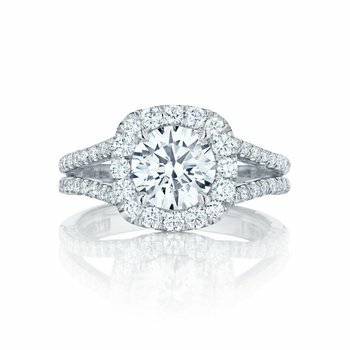 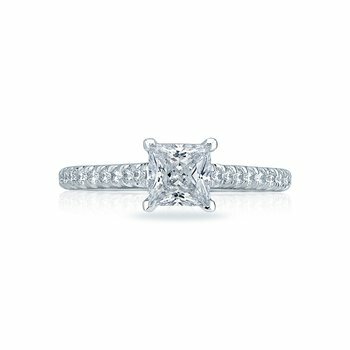 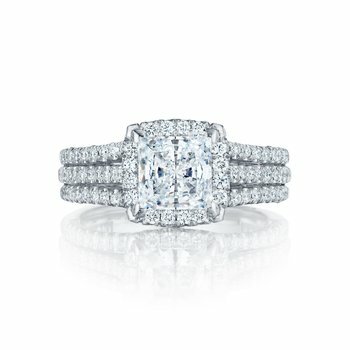 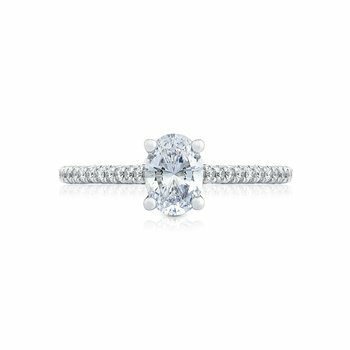 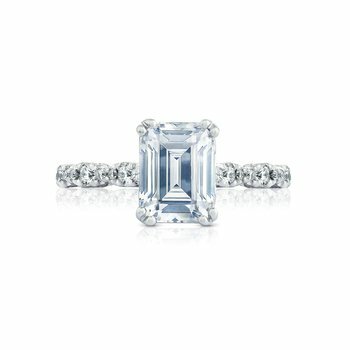 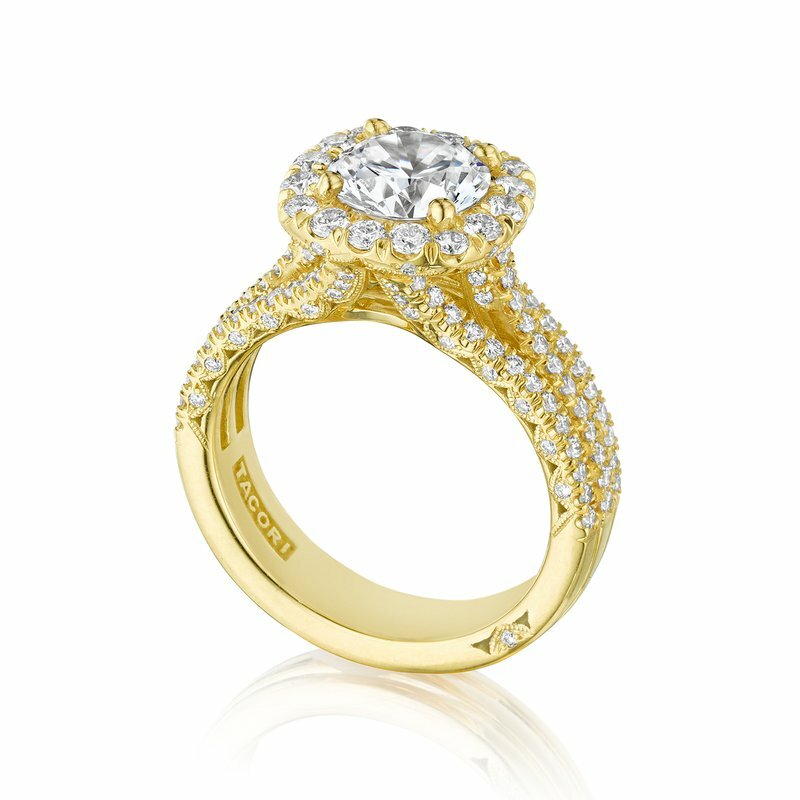 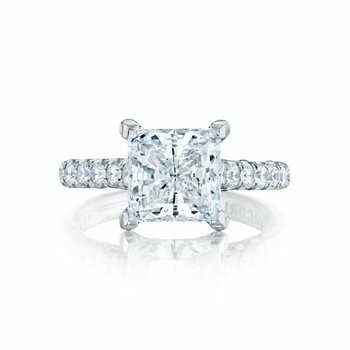 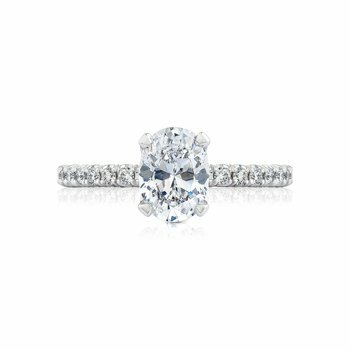 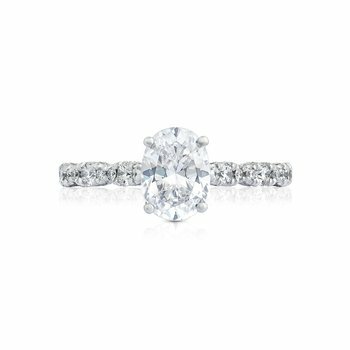 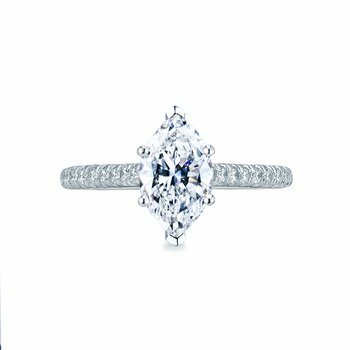 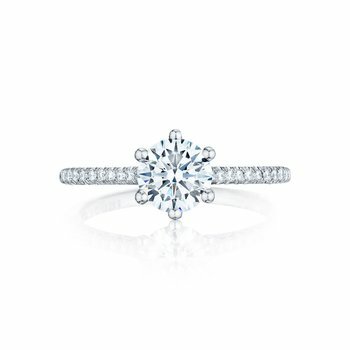 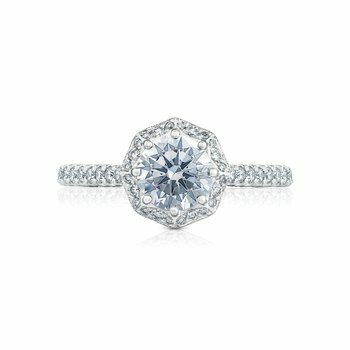 For those Tacori girls who love a cushion look, this truly unique Tacori engagement ring offers the cushion shape every girl loves with a round brilliant center diamond. 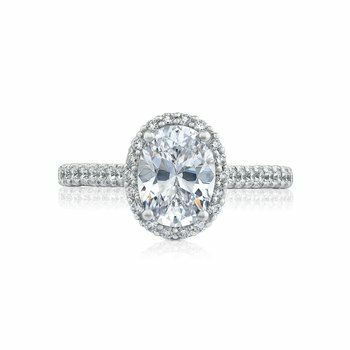 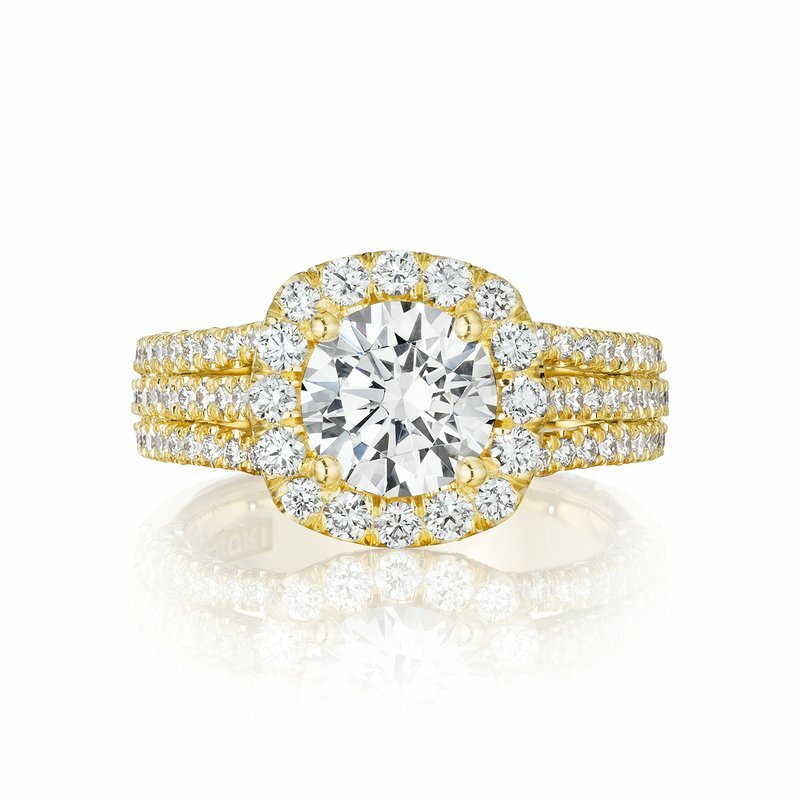 Every girl knows that round diamonds shine the brightest, but some girls love the shape of a princess or cushion and this innovative Tacori design offers the best of both worlds. 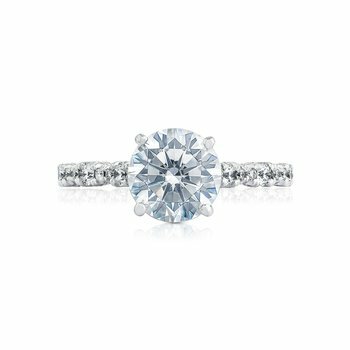 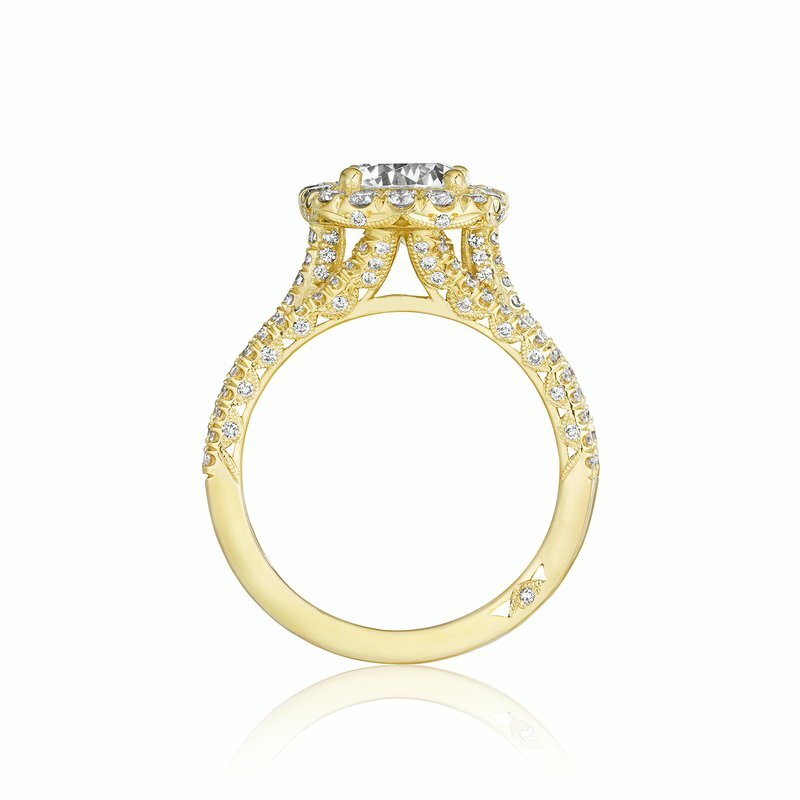 With three diamond filled bands leading their way up to the crown, this Tacori engagement ring will take her breath away.